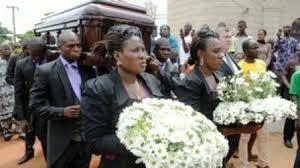 The Need to Abolish Costly Funerals in Nigeria - BlogIT with OLIVIA!!! It was agreed that two plots of land will be sold in order to bury him. He was a good man, though not rich, was generous and kind to a fault. He contributed a lot in community development, he was one of the best chiefs in Omu-aran village. With this in mind, the thought of burying him without celebrating his death in a big way is absolutely out of the question. The kinsmen gathered, they have met severally to deliberate on how to raise money for his burial and that was how they came up with the conclusion of dispelling off the two plots of land he has in order to generate money for the burial. The deceased left miniature resources as he wasn't doing great while he was alive. He had two plots of land which had been agreed upon by the kinsmen to be sold off. He left 5 children for the bereaved widow and there weren't much in his bank account for the poor woman to cater for the welfare of his children . If the kinsmen sell off the plots of land for the burial , how will the widow raise money to support her little business and the kids, an invisible mind from afar pondered? Land was sold, and Ofcourse you weren't expecting that the kinsmen will bring out the whole proceeds. Some must be cornered and pocketed, after all they tried very hard while searching for the buyer. So they need to be compensated not considering any other thing. Selfish miscreants! The Religious people will be considered , they have to be present at the the burial or else he won't enter heaven if not prayed for. They must really attend to pray for the repose of his soul and at such, they brought list of what the poor widow will provide for them. They will be entertained and given gifts as they leave... Their list? Totaled N350,000. Okay that's good. Excellent if I must say. The Kinsmen who already collected some proceeds from the land must be entertained too and they can't possibly go home without gifts. What's that for??? The poor widow must provide for their refreshments, oh I forgot to mention... they just lost their brother and they are part of the mourners. In fact, the heavy burden of the loss was drastic on them. They really need to be calmed, pitied and entertained . Their list??? Totaled N300,000 or more. A very expensive one of course, so the insects won't devour nice food? Like they have an idea how the casket will fade away underneath 6ft. Where their interest lies is in extravagance. The money to be spent not minding that someone will have to bear the consequences of such action. The aftermath of such wasteful of resources will be borne later by someone... You thinking who will bear it? The widow of course. Who else if not her? This woman after selling two plots of land just to bury her husband , will hustle hard tomorrow to send those kids to school. The responsibility of feeding them lies on her head. Who will provide shelter for them? She's still the one. She practically has the 100 per cent responsibility of catering for those kids. The funny thing is that everybody will disperse as soon as the corpse enters ground. So I then ask, why will she be pushed into selling plots of land just to bury someone that will never come back to life? Why does she have to exhaust energy and finance to lay down corpse into the ground when she could have managed them to train her kids? This is utterly unwise and not called for. This is the major reason why she will send those kids out in near future to go live with people , we all know how people's children are practically turned into slaves in Nigeria. 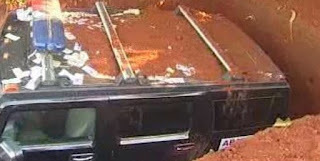 This particular phenomenon has been eating deep into souls of some homes in Nigeria. The outcome of such is that some of them will become refuse dumps in homes where they will be maltreated. Their gains are usually two quare meals a day and an opportunity to hawk along the streets of some towns. Most of them survive without adequate care or attention. Some of them will probably end up illiterates because their guardians wouldn't care more or less if they were schooled or not. Even the brilliant ones among them ends up been wasted. The cycle results to having touts, prostitutes roaming around, causing havoc for well-meaning citizens that have absolutely nothing to do with their ordeal. 50 amongst thousands of them end up in good homes. Have always wondered why Nigerians spend so much during funerals, they waste so much during burial that you'd wonder if they have financial advisers. There are various ways to showcase wealth and I doubt throwing them away at funerals is one of the best ways. The Eastners usually feast for complete three days for funerals which normally end with sharing of some expensive gifts. In my understanding, they are rejoicing and not mourning. Tons of gifts, hired dancers, hired cooks, and even DJ's. Some said its a sure way of saying farewell to the dead. There was a rich man that abandoned his mother in the village, this old woman suffered verily before she died. She never fed well, three square meal?? She never had them even in her dreams, but then what happened when she died? She was given a befitting burial. Her corpse was buried in a Hummer jeep and that was when that car still worth so much. The picture is attached in this article. Now, Wise mind will wonder why the woman was allowed to wallow in abject poverty , even died in it but then buried like she lived in paradise all her life. Something's can shock the devil himself. Spending so much to bury someone begs on the question of how the ones he left behind will cope especially if the deceased wasn't rich before his death. Apparently, the sufferer or the bearer of the consequences of such action is the widow especially if she was forced into such spending knowing fully well that there isn't much resources to finance it. You mourn because you lost someone, you don't feast nor celebrate unless maybe he/she died at the age of 869 just like the oldest being in the Bible. Jesus himself was buried in a mournful state, even when it was noted he'd be rising on the third day, he was still mourned, then shift this to someone YOU WILL NEVER SEE AGAIN. This is the Reason I immensely admire Muslim's burial. You came with nothing, you will go with nothing. And no one will spend a dime to have you buried. You won't dare dream of ordinary casket... They go with their mat as soon as you enter the ground. That's what I call true mourning. The reason why this tradition or whatever its called should be abolished is because there's absolutely no gain in it. In fact, its habitual madness that has cure which is the application of wisdom.